My name is Ascorbic and I have played Eve-Online since 2003. I started Eve-HR a little over a year ago as a side project. Over time, users came to me and asked if I could have add functionality to Eve-HR. My current list of planned additions is huge, for example: Discord Integration, Ship Replacement Program, Alliance Integration, Fleet Ops Management and more. Eve-Hr Discord If you want to see sneak peaks at what I am currently working on, check out Discord or Patreon. Both places sometimes get screen shots and descriptions of current projects. I always listen to feedback and take opinions into account. So feel free to tell me what you think, even if you hate something, I want to know. Here is a video explaining recuitment. Eve-HR is constantly evolving, just like Eve. The best way to stay up to date with changes and future projects is by reading the Patreon page. What Can Your members fly? Import your ingame fits at a click of a button. The tool will reference skills of users that have logged into eve-hr. Members can place orders to be completed by your logistics department. They can track their order and see the total estimated price of the order. Users can use Eve's MultiBuy tool to create a list of items, and export and paste into eve-hr. Grant users access to haulers interface. Refining works properly for all corporations. 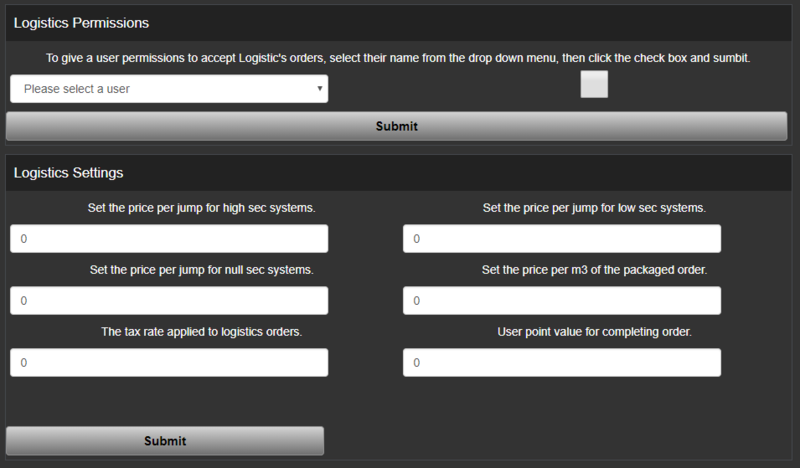 Your logistics team will have an interface where they can accept and complete orders. 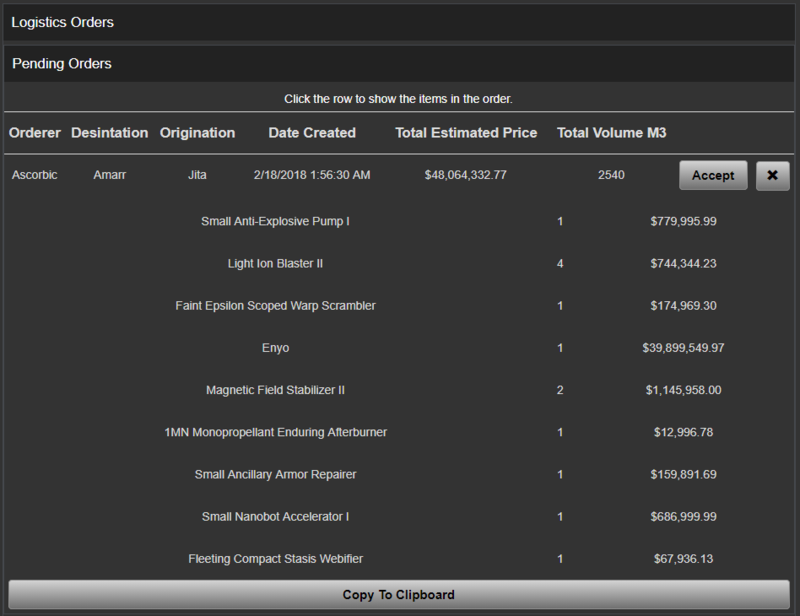 They can view the items list and use the Copy To Clipboard tool to enter the items into Eve's MultiBuy Tool. Confirm or Reject orders, view the orders items and the tax collected. Users are provided with the price, and can submit the order to your corp via contracts. Allows you to quickly confirm the items in the contract and accept for the correct price. 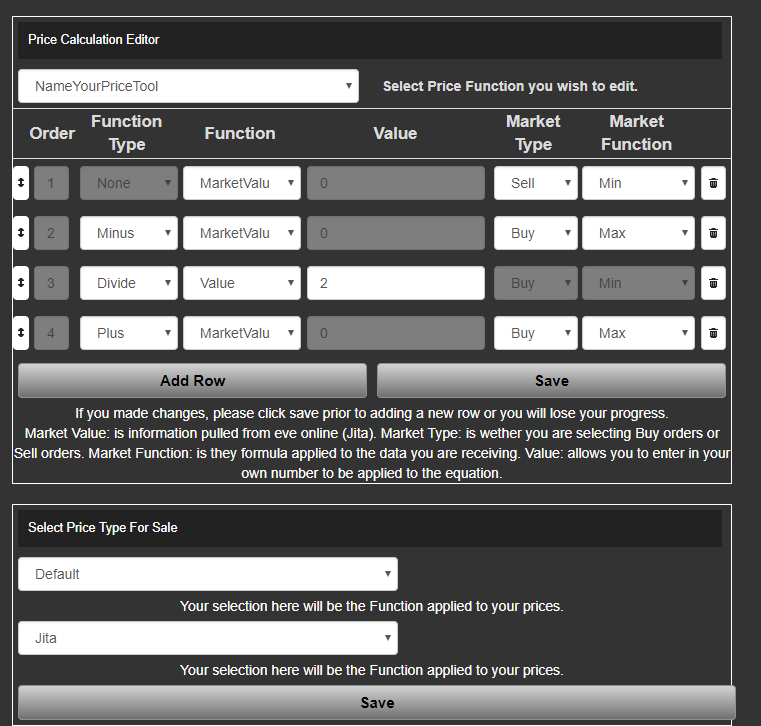 Create your own custom price formula. Apply the market up you want to get prices from. Now you will get accurate prices for your market hub. Corp members ratting or mining can earn points to spend in your store. Assign the tax amount paid to point value. Can run daily to tally points for your members. Members can use points to get rewards, or jus their name at the top of the leader board. I sincerely thank you for your support of this project. With every donation, I show my wife so I can work on this project more.